Two goals were clear when the organizers of this year’s Main Event talked about their plans. 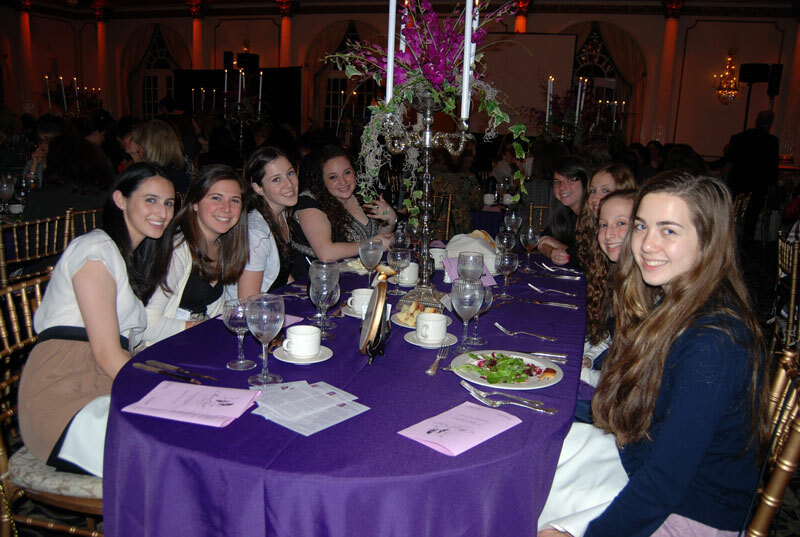 They wanted the May 18 gala — the major fund-raiser for the Women’s Philanthropy division of the Jewish Federation of Central New Jersey — to bring in new people and to show them how enjoyable involvement with the federation can be. 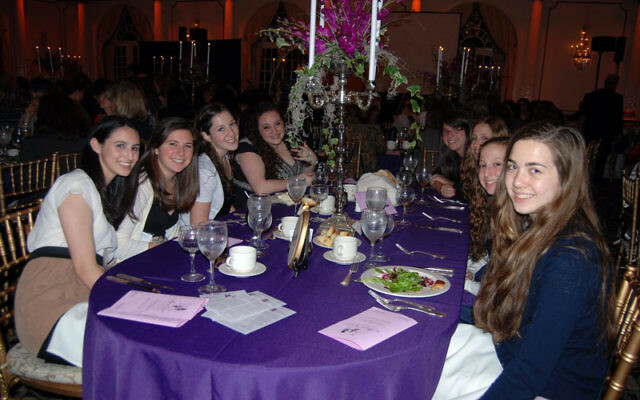 Their goals were met; the festive crowd of 268 guests in the shimmering, candle-lit dining room at Crystal Plaza in Livingston included a whole table of teenagers and a large contingent of adults who had never come to the event before, including a number from the Orthodox community, and six women from the neighboring MetroWest region — perhaps a hint of things to come if Central federation goes ahead with a planned merger with United Jewish Communities of MetroWest NJ. The guests pledged $50,000 in new gifts, some additions to the donations they had already made. Asked what brought them to the event, the girls at the teen table called out in unison, “Our moms!” — but none complained about that parental pressure. Usually, the Main Event is restricted to people who have donated a certain minimum to the federation’s annual campaign. This time, cochairs Lisa Israel and Ruth Pogany said, they and their committee decided to drop the requirement. They also invited first-time attendees to come as Women’s Philanthropy’s guests, with the $80 couvert covered by benefactors. There was a surprise in store for two women who have been longtime supporters of the federation and regular attendees at the Main Event: Phyllis Bernstein and Renee Krul were named recipients of the Acharai Award, for their long service to the federation. Both declared themselves astonished. They will receive their awards at the organization’s annual meeting on June 1. Underlying all the merriment was a serious acknowledgement — of the crucial role the federation plays in many lives. Valerie Khaytina, the deputy North American representative for World ORT, told her own story. She described how, as a child growing up in Kiev, Ukraine, she didn’t discover that she was Jewish until the Soviet Union collapsed when she was nine. When her family visited a synagogue, they had to enter by the back door, lest KGB informers saw them. Her first taste of matza delighted her: “You could try it with chocolate or jam or peanut butter; it was so special,” she declared. At school, her Jewishness became the source of teasing and humiliation. It was only the experience of being in a Jewish summer camp, funded by international Jewish philanthropy, that gave her a feeling of belonging and pride. That carried over at a Jewish high school, also funded by overseas agencies. The family moved to the United States in 1995, settling first in Elizabeth, and then New York City. And as an adult, she “gave back” by working for the planned giving and endowment department of Jewish Federations of North America — then United Jewish Communities — the federations’ umbrella organization, where she served as assistant director, before moving to ORT seven years later. Two women were honored at the Main Event. Mara Levy, who won the Rhoda Rosenbach Young Leadership Award, said her “ah-ha” moment about the importance of supporting a strong Jewish community came 12 years ago — at the moment her first baby reached out his tiny hand and grasped her finger “with a strength that was shocking.” She said she wanted her three children to know not everyone is as blessed as they are, and to understand the importance of giving back. Marcy Lazar received the Woman of Valor Award. A vice president of the federation and a past president of the JCC of Central NJ, she said her passion for serving the Jewish community grew out of a personal experience of being helped by the community. As young parents, she and her husband hit a rough patch economically — not unlike that facing so many couples now. It was thanks to community support that they were able to keep their child in the JCC early childhood program, and to cover their dues at their synagogue, Temple Emanu-El in Westfield. The evening was rounded off with a performance by Chicago City Limits, the New York City-based improvisational theater group that managed to find the light-hearted side even in the challenging topic of the annual campaign.